3 YRS Ningbo Haishu Chisheng Electronics Co., Ltd.
is a professional manufacturer of Christmas fabric products, Christmas home products, Christmas hats, Christmas stockings, Christmas decorations, etc. is a professional manufacturer produces various of Christmasgifts,Our company is engaged in the handicraft production for many years, Our main markets are West Europe ,North America, and South America. &hearts; Related Products &hearts; Packing & Delivery Package We insists on using high-quality packaging to ensure the product safety in the process of transportation. 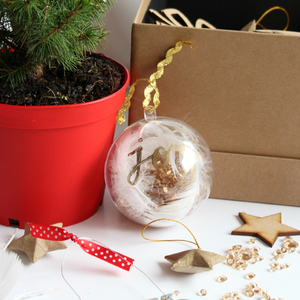 glass xmas ornaments wholesale 2. After services The order will be finished before the lead-time. Photo (product and package of the order) will be sent to customer before shipment. All the clear documents will be sent to Customer for prepaid. Various shapes of wood Christmas boots, wood Christmas socks, wooden deer, wood reindeer, wood star, wood heart, wood round, wood circles. wood square shapes, all different kinds of Christmas,Chrismas crafts decorations supplier, wood tags, wood door hanger, promotion ornaments supplier. 7. How about the quality9 To be a top service company, there are quality control department in our factory, every order will be under contorled. **Customer 's own design welcomed **Lead time /Sample Time: 3~5 days **Delivery Time : 20-30 days , according to your order quantity. 2) similar items show: Any interested, please feel free to contact MS Ivy Qin. Our profesional designers would design satisfied products as your requests,welcome for your orders. Samples charge: According to your design. Free samples or charge a fee according to the different products. Shipping: The big and not urgent order by sea. 6.We have passed many other factory's audit. We are a professional factory and exporter over 20 years, b. We have a good quality and competitive price for customers, c.
This is amazing and creative decoration for your home, can be hanging on the tree, door , balcony, baby room etc. All painting had got the SGS certificate. In base of the aboved advantages, we offer good price, quality, service to make more marketplaces than your We welcome you to visit us and build business corporation. 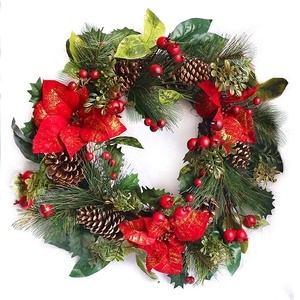 This artificial Christmas wreath is elegant and first class quality. * Size: 38 cm * Reasonable price. 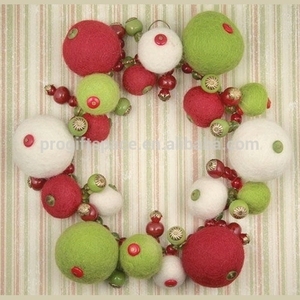 * This artificial Christmas wreath is perfect for Christmas decoration,hotel decoration,home decoration,etc. 1 YRS Pujiang Hongjia Electronic Technology Co., Ltd.
We can make OEM and ODM items for you as long as you can tell us your idea or provide pictures. 2.Q: Where is your factory located9 How can we visit there9 A: Our factory is located in Quanzhou City,Fujian province,China. We can make OEM and ODM items for you as long as you can tell us your idea or provide pictures. 2 YRS Dongyang Gangge Christmas Arts Crafts Co., Ltd.
2 YRS Yiwu Top Ease Imp. & Exp. 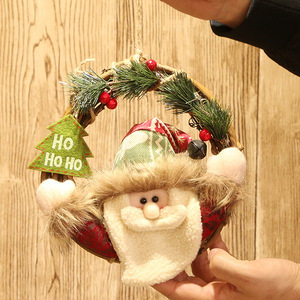 Co., Ltd.
Alibaba.com offers 1,011 door hanging ornaments products. About 50% of these are christmas decoration supplies, 2% are other home decor, and 1% are artificial crafts. 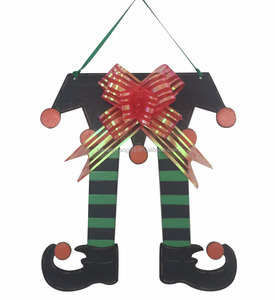 A wide variety of door hanging ornaments options are available to you, such as fabric, resin, and metal. You can also choose from home decoration, holiday decoration & gift, and art & collectible. As well as from artificial, folk art, and nautical. And whether door hanging ornaments is sculpture, figurine, or model. 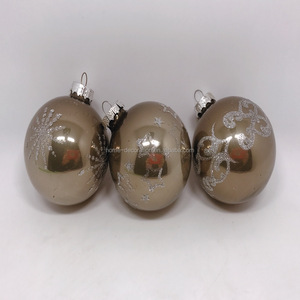 There are 1,011 door hanging ornaments suppliers, mainly located in Asia. 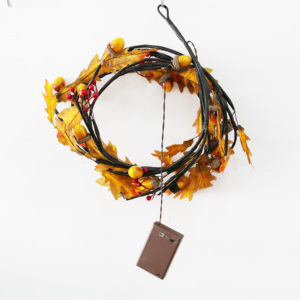 The top supplying country is China (Mainland), which supply 100% of door hanging ornaments respectively. 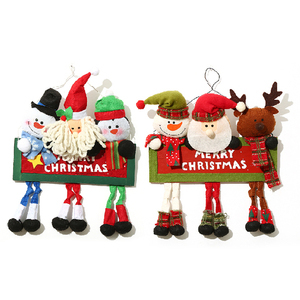 Door hanging ornaments products are most popular in North America, Western Europe, and South America. You can ensure product safety by selecting from certified suppliers, including 72 with ISO9001, 68 with Other, and 34 with BSCI certification.